For nearly two years, supporters of POTUS Donald Trump have been waiting patiently — and, increasingly, impatiently — for something that resembles justice to be meted out to the Deep State conspirators who devised “Spygate” as a means of deposing our duly elected president. For several months ahead of the 2018 midterms, conservatives and some Republicans in Congress pleaded with the president to release classified documents pertaining to various aspects of the scandal, particularly the applications James Comey’s FBI used to obtain Foreign Intelligence Surveillance Act court warrants to spy on Carter Page, a one-time member of the president’s 2016 campaign. And when Democrats retook the House last year, many of the president’s supporters gave up all hope that Comey, James Clapper, John Brennan, Peter Strzok, Andrew McCabe, Bruce Ohr, Lisa Page, James Baker, Rod Rosenstein — even former AG Loretta Lynch and perhaps President Obama himself — would ever be held liable for the coup attempt. All that may be about to change, however. 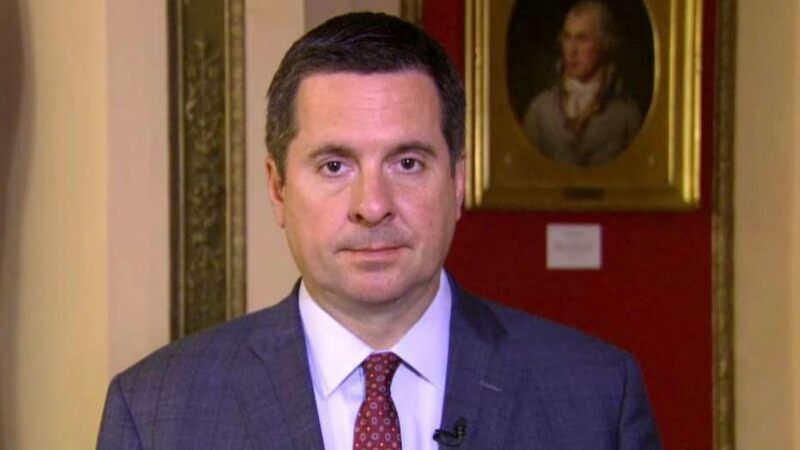 In recent weeks, House Intelligence Committee Ranking Member Devin Nunes (R-Calif.) has been teasing that he was preparing a number of criminal referrals for the Trump Justice Department involving Deep State figures allegedly tied to Spygate. On Sunday during an interview with Fox Business Network’s “Sunday Morning Futures” host Maria Bartiromo, Nunes said he’s got eight referrals he’s preparing to make to the DoJ, which is now led by AG William Barr, who is Jeff Sessions’ straight shooter replacement and said to be intimately interested in cleaning up his department and the FBI. “We’re prepared this week to notify the attorney general that we’re prepared to send those referrals over and brief him if he wishes to be briefed,” Nunes said. As Infowars reported, Nunes was expected, by some, to have delivered those referrals last week. But he told Bartiromo that others had been identified as being intimately involved in the coup attempt, which delayed action. He said Sunday that up to two dozen people have been identified by his team of investigators who could eventually wind up being referred to the DoJ for prosecution. Because his team’s work is highly classified, Nunes did not give Bartiromo any names. But he did discuss three categories into which the suspects fall. “Five of them are what I would call straight up referrals, so just referrals that are, that name someone and name the specific crimes. Those crimes are lying to Congress, misleading Congress, leaking classified information,” Nunes said, according to the Washington Examiner. Three others are a bit more complicated, he explained, noting that they could be charged with committing a conspiracy to lie to the FISA court. “So on the first one, is FISA abuse and other matters we believe there is a conspiracy to lie to the FISA Court, mislead the FISA court by numerous individuals that all need to be investigative and looked at,” Nunes added. He said his team has identified about a dozen “highly sensitive, classified information leaks” that were provided to just a few reporters over the past two-and-a-half years, noting that he wasn’t sure if there are any active investigations involving those. “We do believe that we’ve got pretty good information and a pretty good idea of who could be behind these leaks,” said the California Republican.